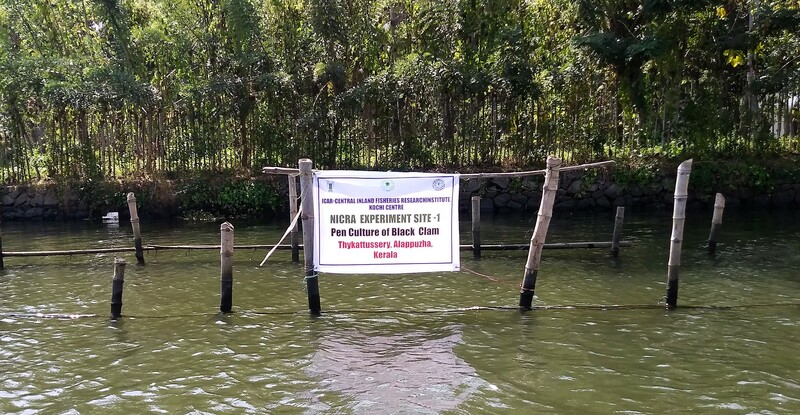 ICAR-CIFRI under NICRA project successfully organized harvesting of black clam Villorita cyprinoides in climate resilient pens installed at Thycattussery village, Alappuzha district, Kerala State on 17 th January 2019. 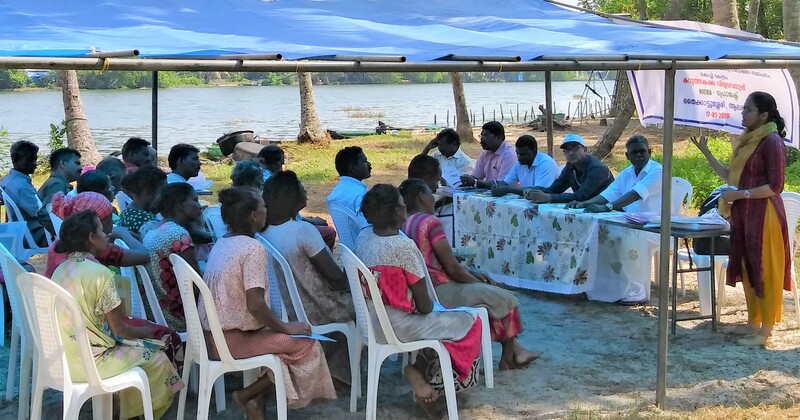 The programme was attended by fifty fishers of Black Clam Industrial Co-operative Society, Thycattussery and its board members. The programme was inaugurated by Dr. Uttam Kumar Sarkar, HoD, Reservoir and Wetland Fisheries Division. Addressing the fishermen he highlighted the importance of pen culture as a climate resilient technology and emphasized on role of clam culture in reducing carbon emissions by transforming it to blue carbon. He also highlighted the relevance of multi-trophic culture system to enhance production from these systems for added revenue and livelihood. Dr. Thankam Theresa Paul welcomed the fisher folks and detailed on the advantages of the structure installed at Thycattussery, Kerala. The experimental pen made of bamboo and HDPE nets was of 114sq.m and was divided into two compartments. 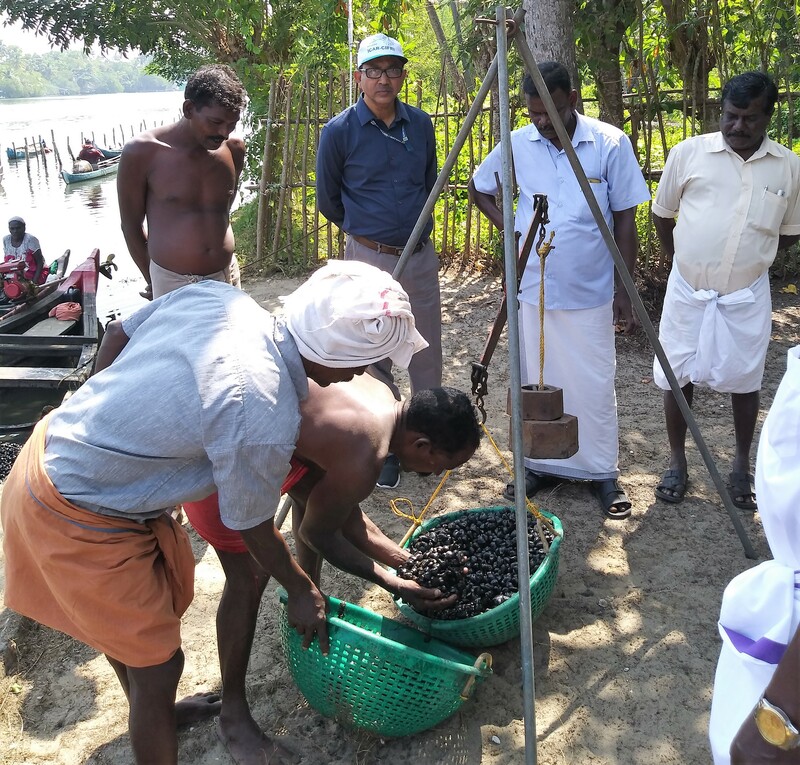 The seeds collected from wild (Paathiramannal) were segregated to small clams (mean size 15 mm and mean weight of 1.46 g) and large clam (mean length of 22 mm and mean weight of 3.54 g) respectively. The small and large clams were stocked at the rate of 5000 nos/ sq.m and 2000 nos/sq.m respectively. Overall 650 kg of baby clams were cultured in the pens for a period of one year. The annual growth rate of clams was assessed in terms of length and weight as 14.23mm/ year and 47.98g/year. 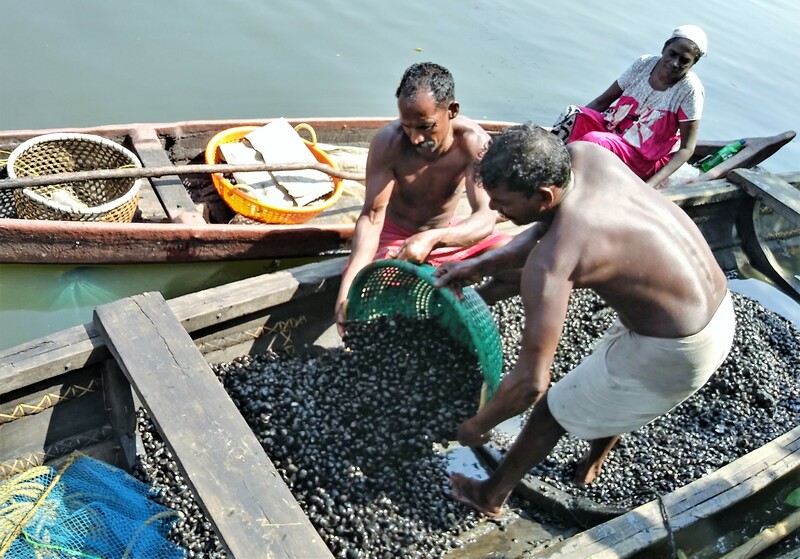 The programme also included the deshelling of clams with the help of female clam collectors. The culture earned revenue of Rs. 26,300 from sales of clam meat and clam shell. The meat and the shell was separated, washed and sold at Rs. 100/kg whereas the shell was sold at Rs. 3500/tonne. 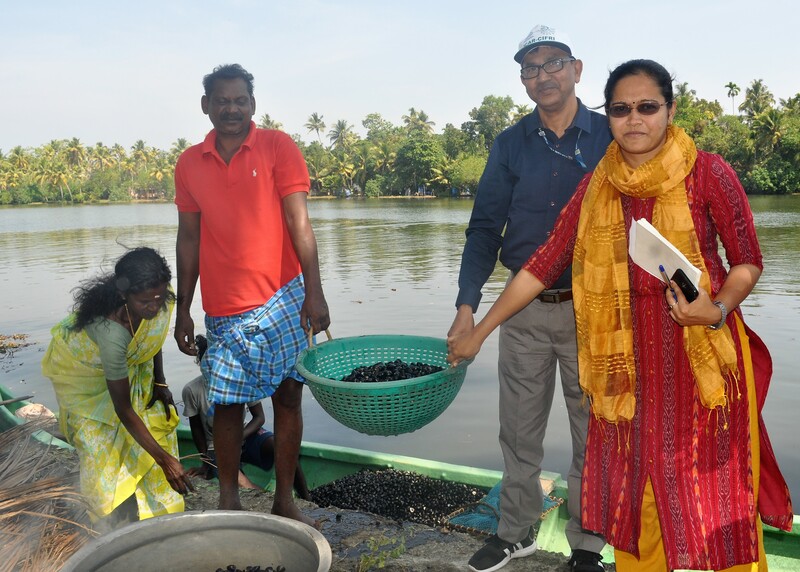 Mr. G. Kuberan (YP II), Mr. S. Manoharan (Chief Technical officer) and Mr. P. V. Shajil (Skilled support staff) gave all the technical support by arranging the stakeholders meeting along with clam harvest. Shri S. Manoharan delivered the vote of thanks and expressed gratitude to the Dr. B. K. Das, Director, ICAR- CIFRI, Barrackpore and team ICAR-CIFRI for encouragement and support.